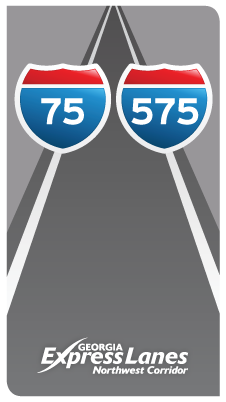 The I-75 South Metro Express Lanes are reversible toll lanes that run 12 miles along the median of Interstate 75 from State Route 155 (McDonough Road) in Henry County to State Route 138 (Stockbridge Highway) in Clayton County. 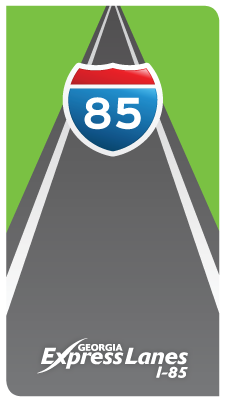 As more and more motorists choose to use the I-85 Express Lanes, it continues to be a viable option for commuters. Usage has increased every year, and we have issued more than 500,000 Peach Passes since the lanes opened in 2011. The Northwest Corridor lanes will improve travel in the I-75/I-575 corridor by adding 29.7 miles of toll lanes along I-75 from Akers Mill Rd to Hickory Grove Road and along I-575 from I-75 to Sixes Road. These lanes are scheduled to open in Fall 2018. 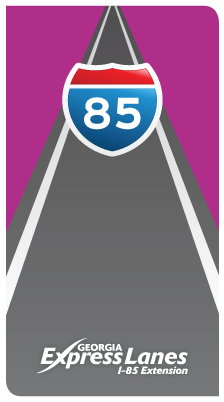 The I-85 Extension will add 10 miles of newly-constructed express lanes north of the existing I-85 Express Lanes in Gwinnett County, ending at Hamilton Mill Road. These lanes are scheduled to open in Fall 2018. Learn how the new I-75 South Metro Express Lanes work!